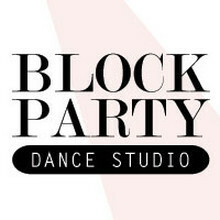 The Block Party Dance Studio is a beautiful dance space in the heart of Potrero Hill. We offer classes in Salsa, Swing, Tango, Ballroom, Ballet, Modern, Jazz, Brazilian Samba, Yoga, Feldenkrais, Somatics, Creative Dance for Children, Pre-Ballet for Children, and more! Stop by, drop in to a class, hang out at a Friday night party...Come Dance With Us!